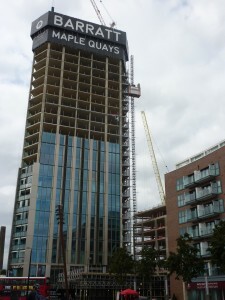 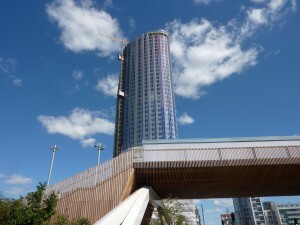 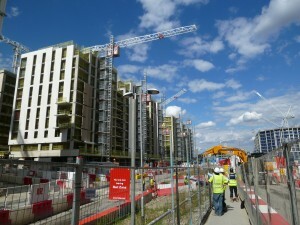 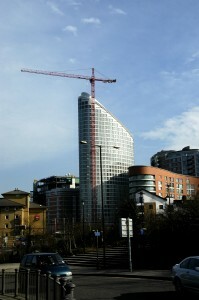 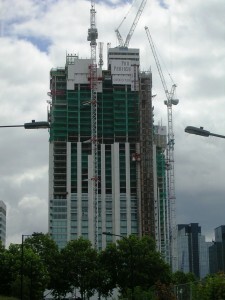 Ontario Point is the crowning peak of the hugely successful Maple Quays development just one stop from Canary Wharf. 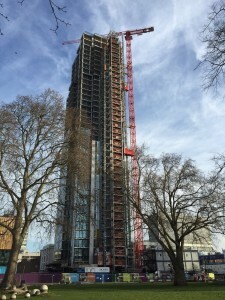 This shimmering tower will rise to 24 storeys and offer stunning views across the London sky line from the private communal roof terrace. 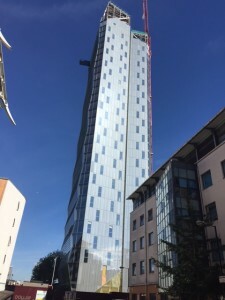 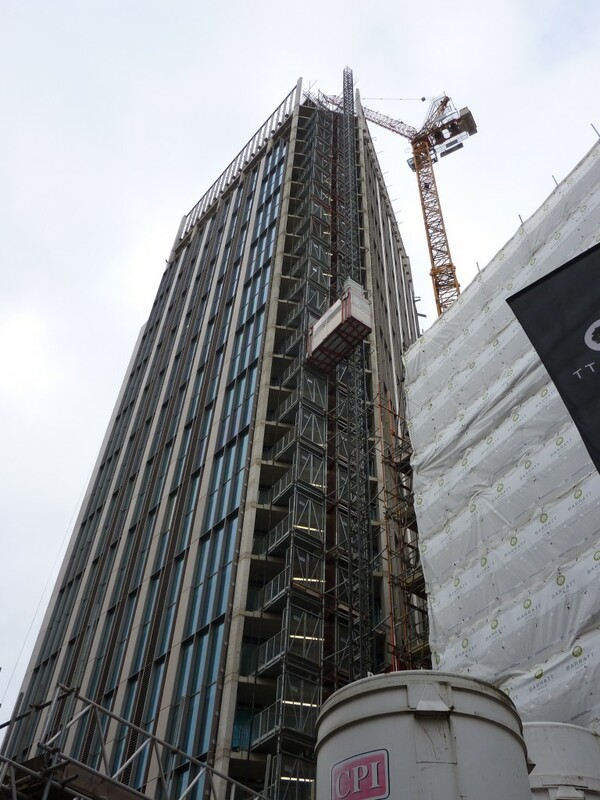 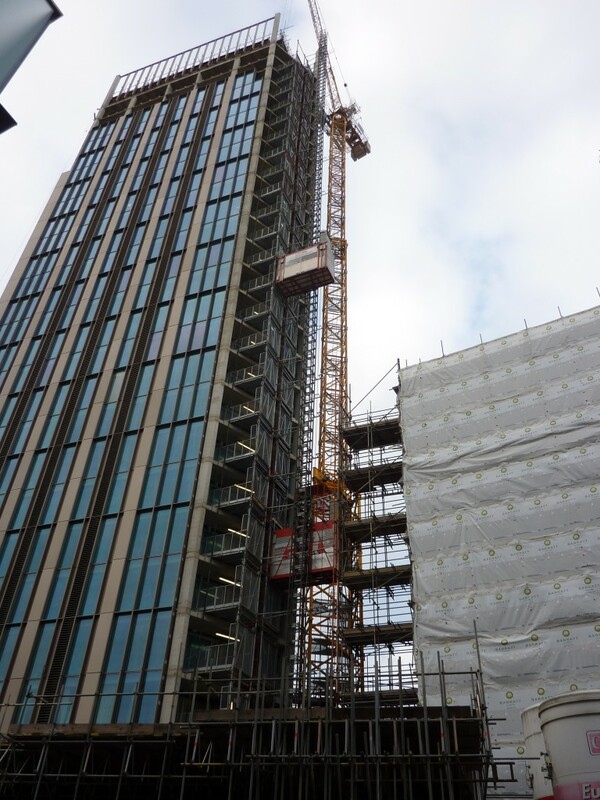 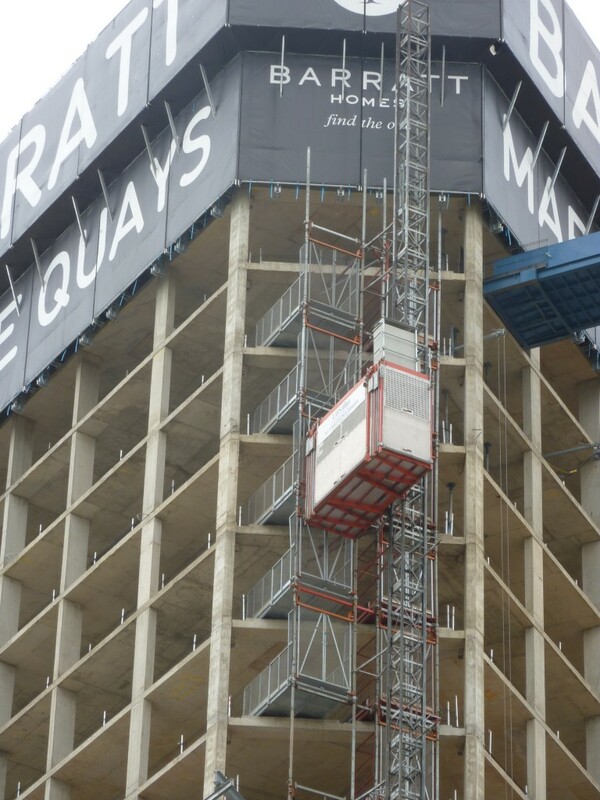 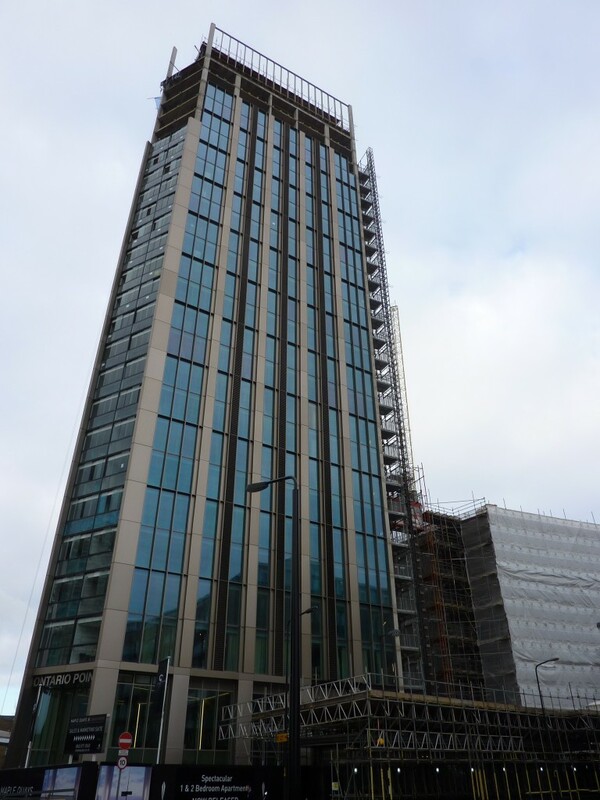 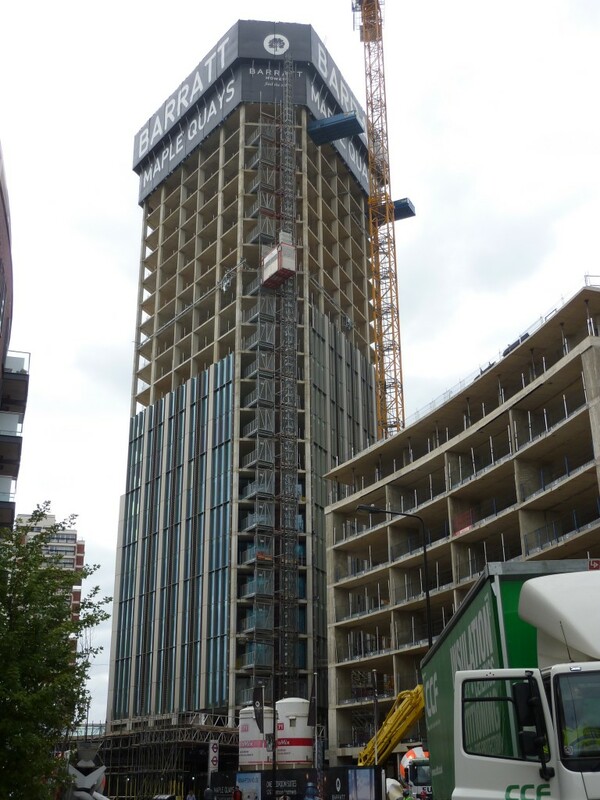 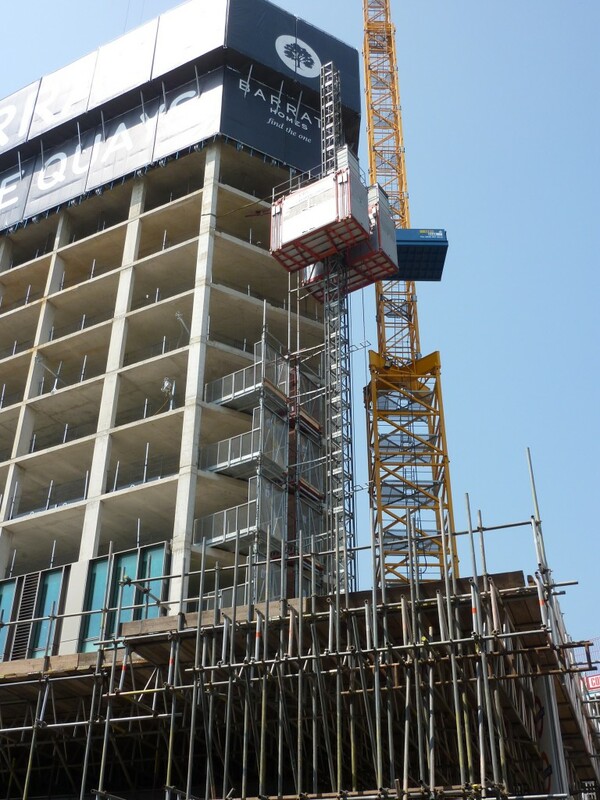 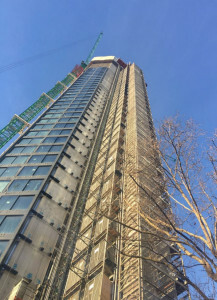 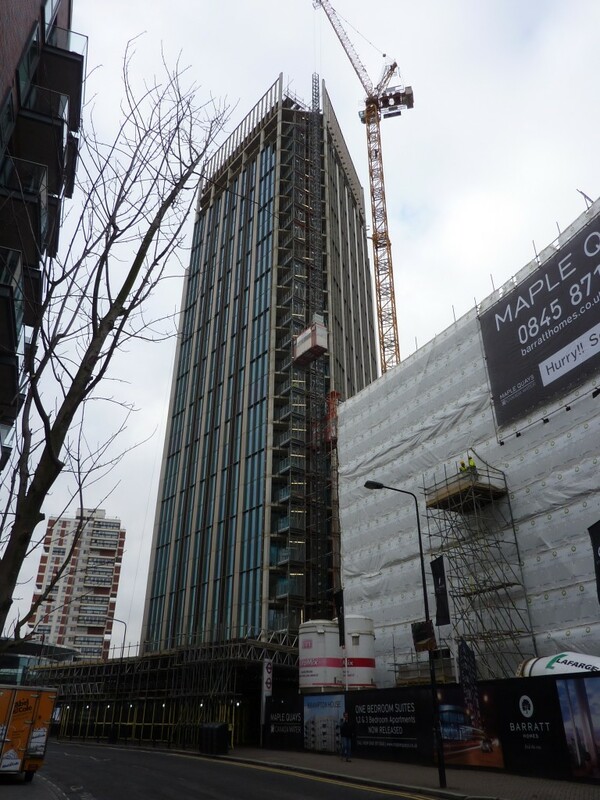 UBS are supplying a twin mid speed hoist along with steel access bridges to access all floors on this diamond shaped tower. 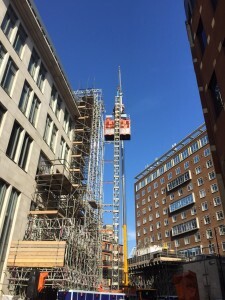 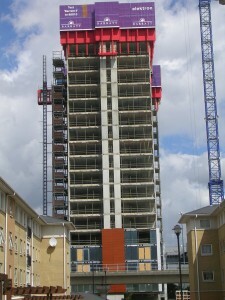 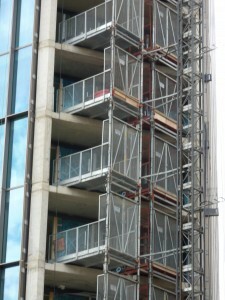 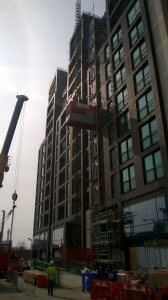 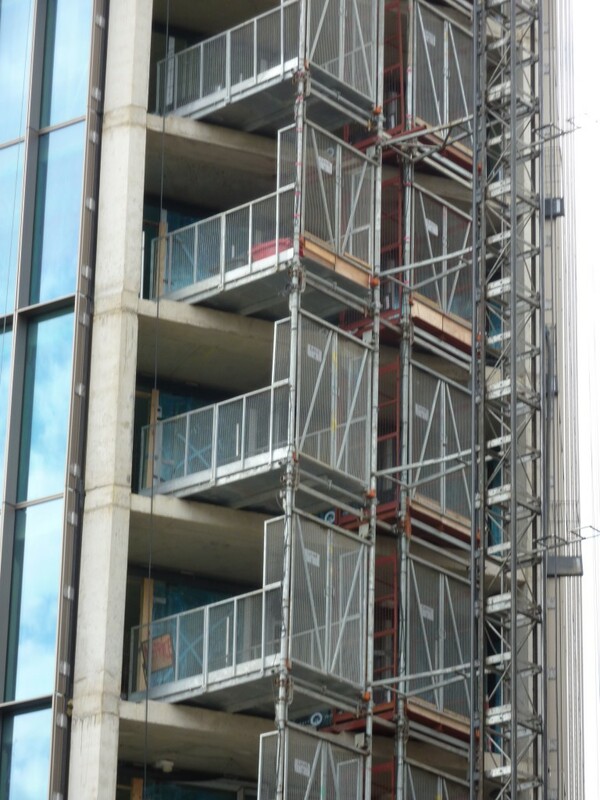 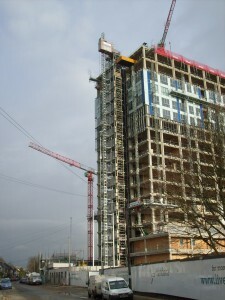 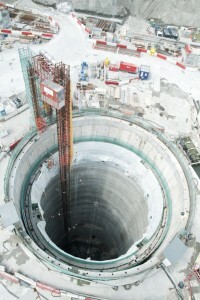 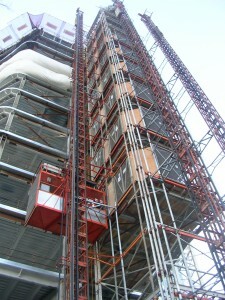 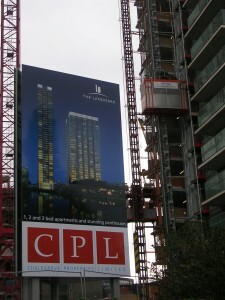 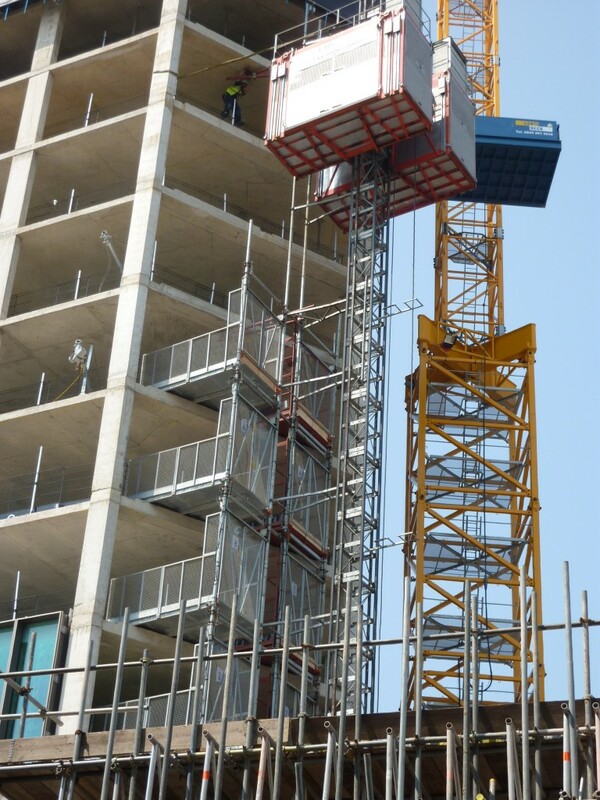 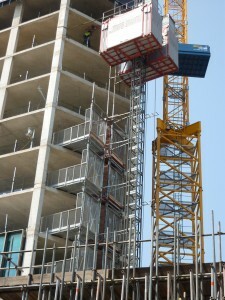 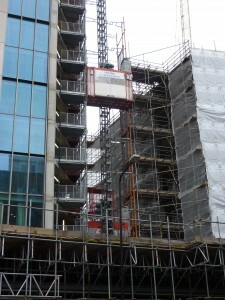 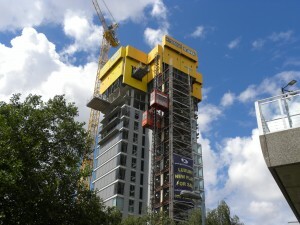 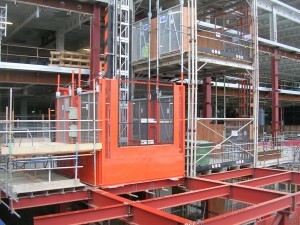 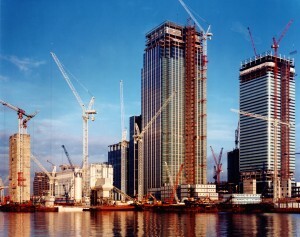 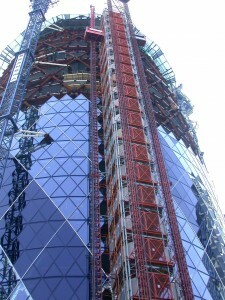 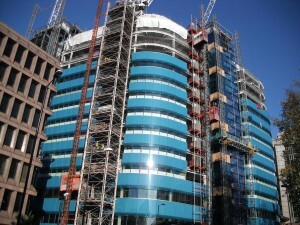 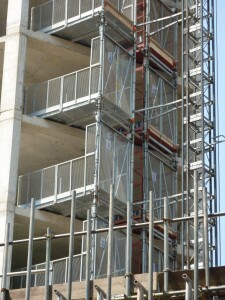 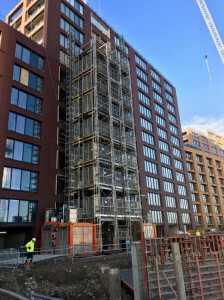 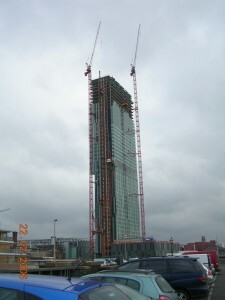 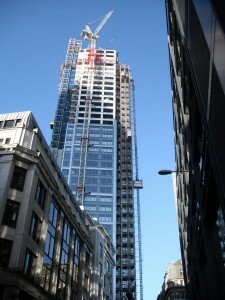 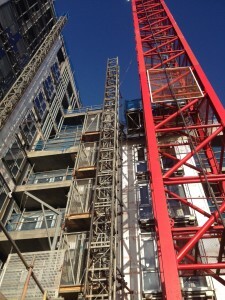 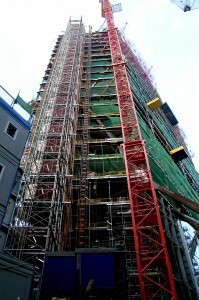 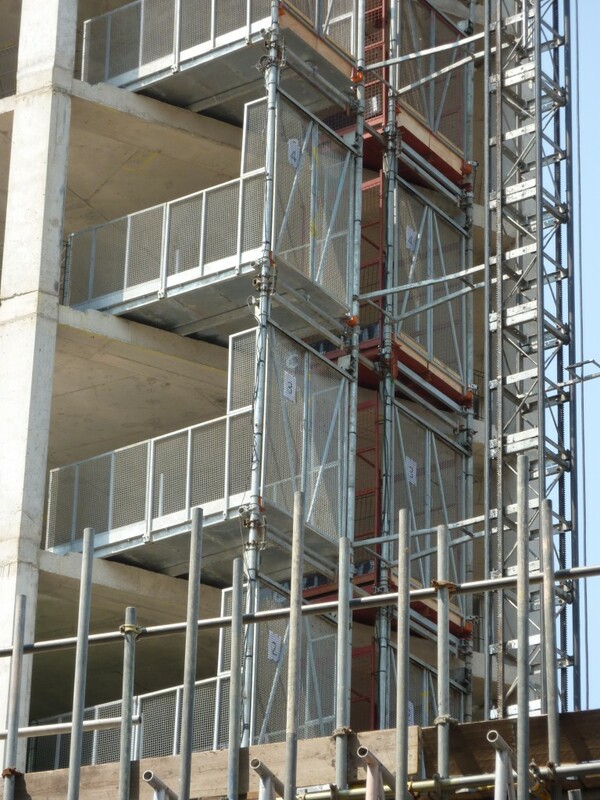 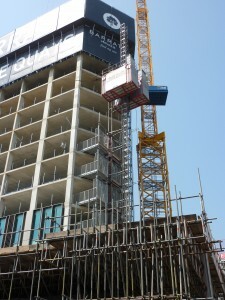 The site is close to the local underground and bus stations, and so months of planning were required to give the site clear access for loading the building using the hoists, but to also minimize the footprint at ground level and the distance materials had to be moved from unloading to accessing the hoists.